God has arranged all things in the world in consideration of everything else. Casey will soon turn twelve. How could I resist her invitation? And so I took the plunge—sort of. To date I have dumped out and re-arranged exactly one dresser drawer. 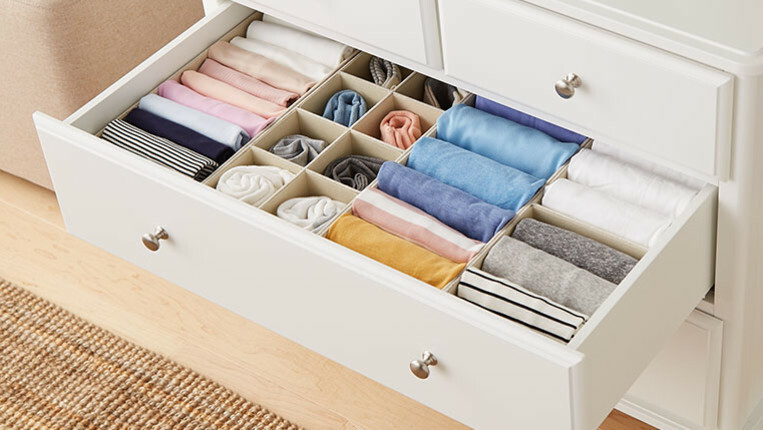 Nevertheless, the drawer I chose was an important one, a large and frequently used one, containing a jumble of jeans and sweatshirts and sweaters. I dumped the contents onto my bed, discovered a couple of long-buried items I had all but forgotten, and decided on a few things to give away. Then I began to re-fold and rearrange what remained. Doing so didn’t take long, and sure enough, when I went to get dressed the next morning, I had good choices and I didn’t have to rummage around looking for a single thing. Oh, the beneficence of a well-arranged drawer! That experience has led me to wonder whether deliberative arranging and rearranging might affect other areas of my life. My use of time, for example. For years I have had in mind a writing project I would like to undertake—but could never find time for. If I were to take full stock of how I currently spend my time—figuratively dumping my typical daily activities onto my bed and looking at each one with a clear and uncompromising eye—would I discover pockets of time buried under a jumble of various doings? Would I find and let go of a habit or an activity that I used to “wear” well but that no longer fits my life or my intentions? Were I to shake out the things I do each day, discarding some and then re-folding and rearranging the rest—how would that open up my days? Rearranging time will not be as simple as rearranging clothes in a drawer. Still, I find the possibility intriguing, and this week—the first week of April when the earth is coming back to life, the redbuds are blooming, birds are building nests, and Easter’s promise of resurrection is but a few weeks away—this week seems as good a time as any to give it a try.